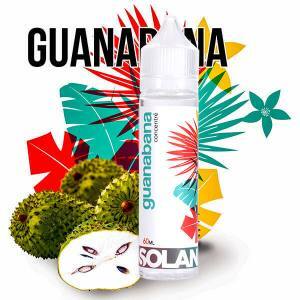 Solana is a brand of e liquids for the Electronic Cigarette and Concentrated Aromas for the French DIY. Solana proposes recipes for complex and original creations from a selection of the best international aromas. Made and Bottled in France. A mixture of authentic flavours, sweet, light and acidic which falls spot on for the summer heat. Salted Butter Caramel. Make the most of it. Typically Bretagne and loyal to the illustrated confectionary. Hydrating, lightly sweet, this Peach Tea by Solana surprises the realism and softness of this Peach. The small fruits preferred by vapers: Blackberries, Blueberries, Blackcurrant, Strawberries, Raspberries. A recipe for amateurs of Cola and lightly acidic Lime as a whole. Always hydrating!